In this, very very long, episode of the FMD podcast, we talk a lot about what we have been playing, give you what little table top news and Kickstarters we could find during the holiday season. Then we try out the awesome 7th Sea 2nd Edition RPG! It was literally the first time we played it, so I’m sure we got stuff wrong, but who cares when you have so much fun! 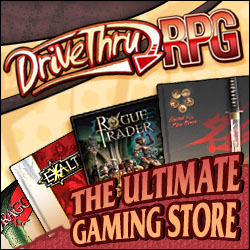 More Print (on Demand) Classic D&D on DTRPG! Deep Dive of the 7th Sea RPG, Available Now on DTRPG!